Sony sure is going to be unveiling a number of devices at CES this year. In addition to the photographs they’ve been leaking on purpose, a new set of images sent over to the folks at Xperiablog.net have been published. 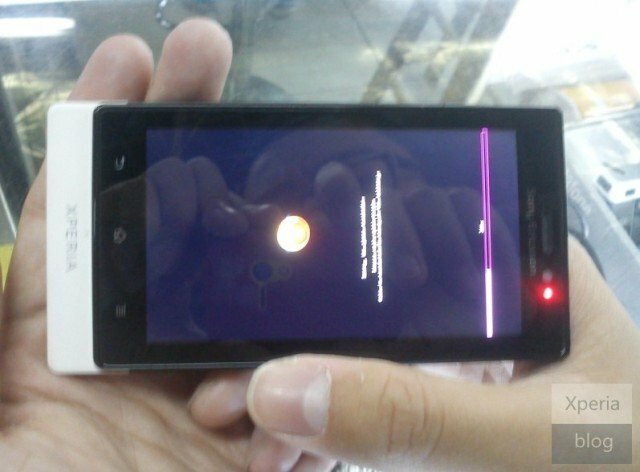 This time the photographs show off a device believed to be the Sony Ericsson MT27i “Pepper”. The phone is supposedly the successor to the Xperia neo V and will feature pretty mid-range specs with a regular-sized display. The Pepper is said to carry a 1GHz dual-core processor (most likely to be the ST-Ericsson NoveThor U8500 chipset), a 3.7″ (854 x 480) display, and a 5-megapixel camera that shoots 720p video. The phone comes with capacitive buttons, so we know it won’t have Ice Cream Sandwich at launch, but it does have a front-facing camera and a notification LED. The phone is labeled as a prototype, so chances are the final device won’t look the same when it is finally revealed –which should be at CES this week or at the Mobile World Conference next month. Hit the source link below for more images.